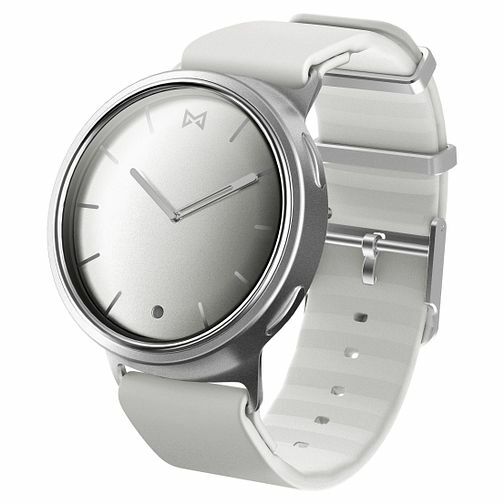 This effortlessly modern men's Misfit Phase smartwatch is set in a stainless steel and aluminium body which is water resistant to 5 ATM. This non-charging smartwatch has a replaceable battery that lasts up to 6 months. This timepiece will automatically track your steps, distance, calories and sleep. It will send you vibration alerts for call and text notifications, alarms and custom app notifications. The smart-button function allows you to wirelessly play and pause music, take a selfie, control smarthome devices and much more.